What to do in Paris ? Discover the Perfume Museum Paris. Romantic paved streets and vast, busy avenues, remarkable buildings, famous cabarets and museums, not forgetting gastronomy, fashion and perfume… Paris will always be Paris! Get off the beaten track, soothe your soul and discover the fascinating history of perfume at the Musée du Parfum Fragonard. Are you passionate about French lifestyle? Do you love designer fashion and the Parisians that embody it? Do you admire France’s free spirit and artistic wealth? After a fabulous morning at the Louvre, enjoy lunch in Montmartre and dream of wild Parisian nights in Pigalle, home to the famous Moulin Rouge. Succumb to the charms of the mythical Place Vendôme. Just a few steps away, visit the magnificent Opéra Garnier in the heart of the lively 9th arrondissement, home to such prestigious department stores as Galeries Lafayette and Printemps Haussmann with their sumptuous window displays. Stop off for a rest at Les Deux Magots and treat yourself to dinner at the must-do Café de Flore. The catacombs, ancient Parisian legends, lunch at the Marché des Enfants Rouges or the story of the mythical Olympia concert hall… Discover the thousand and one facets of Paris! And for an even better insight into the City of Light, swathe yourself in perfume – the must of French luxury – with a guided tour of the Musée du Parfum Fragonard. A luxury product par excellence, perfume is the epitome of France’s legendary lifestyle. A unique concept, the Musée du Parfum Fragonard leads you on a voyage across the ages. Set in Paris’s 9th arrondissement, this famous family firm delivers up the manufacturing secrets of its precious elixirs and opens the door to its exceptional collection of precious, ancient perfume bottles. 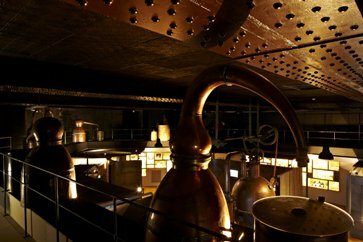 In the main Stills Room (Salle des Alambics), raise your eyes to admire the original Eiffel beams!